I'm so sorry to hear about Ed Kaufman. 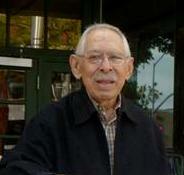 He was one of the first booksellers to show interest in my work--and all the way out in Northern California, no less. He had the energy and boundless enthusiasm of a 20 year old, and he loved the carefully chosen words on a page as much as he loved the perfect binding of a limited edition. He'll be greatly missed. Word Up Community Bookshop reached its $60,000 IndieGoGo fundraising goal on New Year's Day, "marking another step toward the reopening of the beloved bookstore," DNAinfo reported. The announcement was made through Word Up's Twitter account: "YOU DID IT! $60,000 REACHED! THANK YOU THANK YOU THANK YOU." Volunteer Daniella Gitlin had said earlier the bookstore is hoping to find an affordable space between 165th to 190th streets in Manhattan. "We're going to get in on a place within the next month. We don't want to stay closed too long." Author Junot Diaz recently called Word Up "a space I have loved since it's opened up... an intrinsic, valuable, essential piece of Upper Manhattan." Because it must leave its current location by February 4, Chester County Book & Music Company, West Chester, Pa., is discounting all books and other merchandise 20% and CDs and DVDs 30% and has closed the Magnolia Grill. The store hopes "to make an announcement regarding a new nearby location as soon as possible." Last year the store had planned on closing, but was encouraged by customers to move to a smaller location instead. For the past year, it has had a month-by-month lease. On Monday, workers removed signage from Borders former flagship store on East Liberty Street in Ann Arbor, Mich., marking the end of an era. AnnArbor.com reported that Hughes Properties, the building's owners, "are donating the letters to the Book Industry Charitable Foundation for the purpose of raising funds." Pamela French, executive director of the Binc Foundation, told AnnArbor.com she believed this might be the last Borders signage remaining: "We are in contact with thousands of Borders alumni across the country, and although they have moved on to other jobs, their time and experiences at Borders provided very fond memories. Giving those people the opportunity to take home a small piece of the Borders they loved will be like returning these letters to their family." 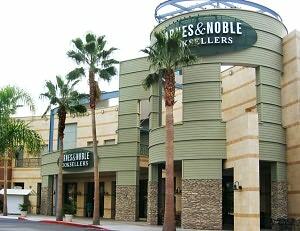 Another Barnes & Noble is shuttered: on December 31, B&N closed its bookstore in Woodland Hills, Calif. The Los Angeles Daily News reported the store's "11-year run at the Westfield Promenade in Warner Center was over," leaving three B&N locations in the Valley--Calabasas, Studio City and Burbank--along with stores in Thousand Oaks and Valencia. 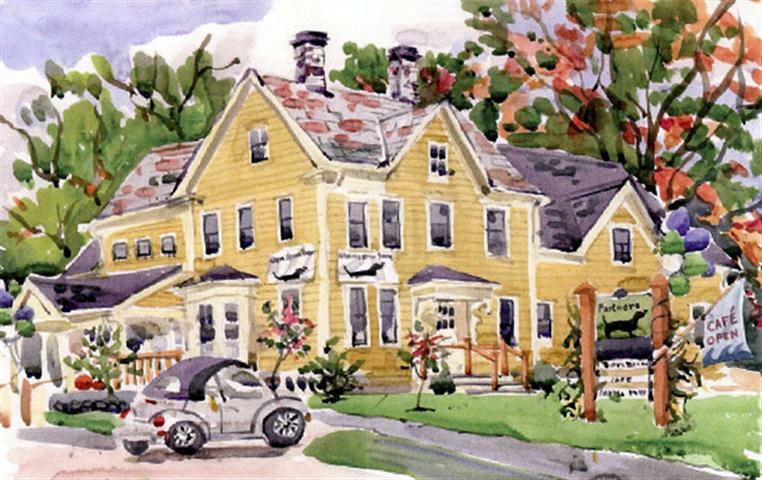 Congratulations to Nancy Crosby and Jan Hall, owners of Partners Village Store, Westport, Mass., who were named the Standard-Times 2012 Westport Women of the Year for their efforts in creating a true sense of community. 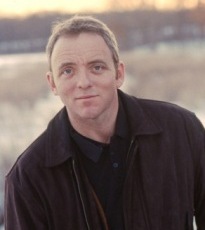 Hall is the co-chair of New England Children's Booksellers Advisory Council and a member of the New England Independent Booksellers Association's Advisory Board. The paper has an in-depth history of the store and this striking commentary from local author Dawn Tripp: "Jan and Nancy have created a meeting place that reflects the unique, eclectic spirit of our town, a place where people can come together for coffee, a fantastic lunch, or a celebration of books and art. It's a gift shop, a toy store, a book lover's rendezvous. 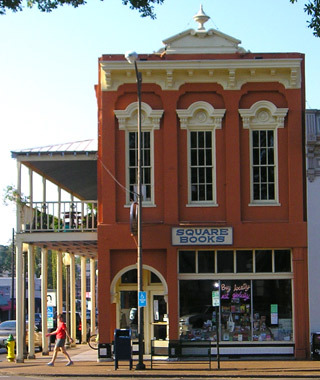 A strong independent bookstore is lifeblood to a community, and Partners is a gift to Westport." Shelf Awareness profiled Partners Village Store in late 2011. In a new take on the old song "Just Because," a duo of booksellers at Common Good Books, St. Paul, Minn., sang about the benefits of indies compared to Amazon.com. The singers are Molly Hilgenberg and Colin McDonald. The head-scratching bookseller is Joe Finck. Travel & Leisure profiles "America's Best Bookstores," including familiar locations like Elliott Bay, Books & Books, Square Books, City Lights as well as lesser-known stores like Crow Bookshop, Burlington, Vt., and Bookbook, New York City. The story begins: "If you're looking for the soul of a place, you might start at the local bookstore. 'I think it's one of the best places to go to find out about where you're visiting,' says Becky Anderson, president of the American Booksellers Association and owner of Anderson's Bookshop in Naperville, Ill."
Anderson cited a "renaissance going on among independent bookstores around the country" that stems in part from indies' "ability to cultivate community: a great indie bookstore isn't just about selling books--it's about people." Jackie Thompson has joined Ingram Content Group as content acquisition business development manager and will focus on business development of the company's POD and digital distribution products. She will work in Ingram's Berkeley, Calif., office. Thompson began her career as a student assistant in university library acquisitions and moved to sales positions in library wholesaling. She started in book publishing with Wiley, and has held management positions at Timber Press, New Harbinger Publications and Nolo. She has served as a board member for PubWest and North Atlantic Books. Cesar Millan's Short Guide to a Happy Dog: 98 Essential Tips and Techniques (National Geographic Books, $21.95, 9781426211904). Millan's new TV series, Cesar Millan's Leader of the Pack, begins this Saturday, January 5, at 10 p.m. on Nat Geo Wild. Tomorrow morning on the Today Show: Rachel Beller, author of Eat to Lose, Eat to Win: Your Grab-n-Go Action Plan for a Slimmer, Healthier You (Morrow, $24.99, 9780062231819). Tomorrow on CNN's Starting Point with Soledad O'Brien: Fred Kaplan, author of The Insurgents: David Petraeus and the Plot to Change the American Way of War (Simon & Schuster, $28, 9781451642636). Tomorrow on the Sean Hannity Show: Salvatore A. Giunta, co-author of Living with Honor: A Memoir (Threshold Editions, $26, 9781451691467). Tomorrow on Current's Viewpoint with Eliot Spitzer: Oliver Stone and Peter Kuznick, authors of The Untold History of the United States (Gallery, $30, 9781451613513). Tomorrow on NPR's the Takeaway: Jared Diamond, author of The World Until Yesterday: What Can We Learn from Traditional Societies? (Viking, $36, 9780670024810). 8:30 p.m. "The Publishing World Yesterday and Today," a panel held last month during the International Summit of the Book at the Library of Congress in Washington, D.C., featured Nan Talese of Doubleday, Geoffrey Kloske of Riverhead Books, Karen Lotz of Candlewick Press and Niko Pfund of Oxford University Press. Britain's New Year's Honors List recognized Quentin Blake, who was made a Commander of the Most Excellent Order of the British Empire (CBE). Blake has provided illustrations for Roald Dahl's stories and created artworks for David Walliams's children's books. He was honored for his services to illustration as well as "his work in commissioning art in hospitals, and his contribution to the House of Illustration, a permanent museum to which he has pledged his entire archive," the Bookseller reported. In New Zealand, children's author and illustrator Gavin Bishop was named an Officer of the New Zealand Order of Merit for services to children's literature, Stuff reported. Bishop, who has published more than 40 books, called the honor a welcome recognition of the children's literature "renaissance" in the country. The Dude and the Zen Master by Jeff Bridges and Bernie Glassman (Blue Rider, $26.95, 9780399161643) explores Zen Buddhist aspects of the Dude from The Big Lebowski. The Husband List by Janet Evanovich and Dorien Kelly (St. Martin's, $27.99, 9780312651329) is a romance set in 1894 New York. Mistress of My Fate by Hallie Rubenhold (Grand Central, $25.99, 9781455511808) is book one of the Confessions of Henrietta Lightfoot trilogy. Paper Valentine by Brenna Yovanoff (Razorbill, $17.99, 9781595145994) follows a girl pestered by her friend's ghost into investigating a serial killer. The Mediterranean Slow Cooker by Michele Scicolone (Houghton Mifflin Harcourt, $22, 9780547744452). Not Your Mother's Rules: The New Secrets for Dating by Ellen Fein and Sherrie Schneider (Grand Central, $13.99, 9781455512584). Raised from the Ground: A Novel by Jose Saramago, translated by Margaret Jull Costa (Houghton Mifflin Harcourt, $26, 9780151013258). "Published in Portugal in 1980 and just now appearing in English, Saramago's third novel was worth the wait. A pivotal book in the late Nobel laureate's development, this tale marks the debut of Saramago's inimitable literary voice: digressive, ironic, humorous, and graceful, but impatient with 'lyrical tosh,' it features a narrator who speaks as 'we' and embraces all of humanity in a drama of good versus evil. Scathing about the abuse of the poor by the rich and powerful, Saramago's story is nonetheless written from a deep faith in the pure-heartedness and resilience of the human spirit, showing how even the most down-trodden will eventually rise up." --Laurie Greer, Politics and Prose Books and Coffee Shop, Washington, D.C.
Song of the Vikings: Snorri and the Making of Norse Myths by Nancy Marie Brown (Palgrave Macmillan, $27, 9780230338845). "As you read about 13th century storyteller Snorri Sturluson and his writing, you will also learn about the history of the fiercely independent Icelanders and their often difficult relationships with their Scandinavian neighbors. This book is full of blood-curdling tales of family rivalries all interwoven with stories of Norse gods and other mythical creatures of the sagas. Those who have read Tolkien's Lord of the Rings will find some names that will sound oddly familiar!" --Dominica Borg, Norwich Bookstore, Norwich, Vt.
Hand for a Hand by T. Frank Muir (Soho Crime, $25, 9781616951818). "A dismembered hand is found on a golf course green with a note addressed to Scottish DCI Andy Gilchrist consisting of just one word: Murder. The subsequent investigation gets too close to home for Andy when family members become involved. Set in historic St. Andrews with dour characters and dreary weather to set the mood, this first in a new series is a real nail-biter until the last page." --Rita Moran, Apple Valley Books, Winthrop, Me. The Great Pearl Heist: London's Greatest Thief and Scotland Yard's Hunt for the World's Most Valuable Necklace by Molly Caldwell Crosby (Berkley, $25.95, 9780425252802). "This is the true story of the heist of the most valuable pearl necklace in the world in 1913 London by one of the biggest international jewel thieves and the man who sent him to jail. This little-known case is a great read about how Scotland Yard began to use forensic sleuthing to solve crimes as well as a compelling description of how the criminals were almost able to get away with the theft." --Beth Carpenter, the Country Bookshop, Southern Pines, N.C.
Memoir of the Sunday Brunch by Julia Pandl (Algonquin Books, $13.95, 9781616201722). "Growing up the youngest in a family of nine can make a kid feel lost, but the alternative, moving to a far-off suburb while all the older kids stay behind, can be even worse. It's a good thing then that the author was forced to tend to pancakes at a young age so she could further bond with her eccentric restaurateur father. Pandl shares family stories that will resonate with anyone from a large family, and some of the kitchen tales make Anthony Bourdain's confessions seem tame. But most of all, this is the story of a woman's bond with her father, built slowly with blocks of forced labor and family craziness, and then, when all that was swept away, rebuilt with the help of a lot of care and a bit of humor." --Daniel Goldin, Boswell Book Company, Milwaukee, Wis.
White Truffles in Winter: A Novel by N.M. Kelby (Norton, $15.95, 9780393343588). "This richly layered novel is based on the life of legendary chef Auguste Escoffier, who popularized French cooking methods at his restaurants at the Savoy and the Ritz at the beginning of the 20th century. Escoffier's love for two women--the beautiful, iconic actress Sarah Bernhardt and his lovely, poetess wife, Delphine Daffis--is at the heart of this complex tale. The characters are vivid and the food--oh, the food--is delicious!" --Erica Caldwell, Present Tense, Batavia, N.Y. The Expeditioners by S.S. Taylor (McSweeney's, $22, 9781938073069). "Make way for the Wests--Zander, Kit and MK--three orphans living in the near future, where computers and electricity have failed. They are determined to discover what happened to their father, the famous cartographer Alexander West, on his last expedition but must lay low so that evil government officials don't learn that they no longer have adult supervision. The plot thickens when a mysterious stranger finds Kit in a market and hands him half a map, which the kids immediately recognize as one of their father's. The children interpret this as a sign to find the other half and set off to discover why this map is so important. An exciting start to a new series." --Lisa Christie, Norwich Bookstore, Norwich, Vt. The Very Helpful Hedgehog by Rosie Wellesley (Trafalgar Square, $8.99, 9781843651987). "This book wins all the cute awards! The hedgehog in question is adorable, the dilemma of dealing with an apple stuck to his spines is hilarious, and the solution comes in an unexpected form. This is a lovely story of what it means to learn to be a friend." --Elizabeth Anker, Alamosa Books, Albuquerque, N.Mex. Images of belle epoque Paris are burned in our minds from the works of its renowned painters. Cathy Marie Buchanan's The Painted Girls explores the internal world beyond the canvas, from the point of view of the teenage student dancer who modeled for Edgar Degas's sculpture The Little Dancer, Age Fourteen. Loosely inspired by the true story of the impoverished van Goethem sisters of Montmartre, Buchanan's story follows Marie, a struggling ballet dancer, and her warm-hearted older sister, Antoinette, as they battle what seems an inevitable fate of destitution and despair. When their father dies, leaving only their depressed and alcoholic mother to care for them, threatened with impending eviction and starvation, the van Goethem sisters face the challenge of simple survival. It is with the hope of earning enough money for food and shelter that Marie enrolls in dancing school, becoming one of the "petit rats"--desperate girls working to learn the discipline of ballet in the hope of a stage career and a better life for their families. Every girl cherishes the dream of outshining the others, and attracting the patronage of the abonnés--wealthy men with a particular interest in dancers. First, though, Marie attracts the attention of Degas, who asks her to model for him in a partnership that will eventually lead to a sculpture that, in its bronze reproductions, has been exhibited all over the world. From the daily routines at the barre to the obstacles of a dancer's life, Buchanan describes the world of 19th-century Parisian ballet in meticulous detail. The immediate threat of poverty is also vivid, giving readers a constant awareness that Marie and her family are on the verge of being cast out in the streets. 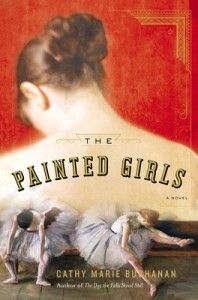 Rather than romanticizing ballet, The Painted Girls underscores the grim need that fuels the dancers, raw emotion that found its way into the works of Degas in violent slashes of pastel. Shelf Talker: Buchanan (The Day the Falls Stood Still) turns to belle epoque Paris and the 14-year-old ballet dancer who modeled for a famous sculpture by Edgar Degas. An inscribed first edition of Ian Fleming's Casino Royale, which sold for more than $46,000, was narrowly beaten by a 1603 celestial atlas ($47,729) on AbeBooks annual list of most expensive sales. Also showcased on the website are the most expensive sales in science, mathematics, children's and YA, art, photography, poetry, maps and atlases, ephemera, travel and exploration, medical, science fiction and fantasy, and books written by world leaders.